Confront the results of the C-virus in all its varied and deadly forms including zombies, J’avo, Chrysalids, and much more Agent Hunt Mode - In this all new online mode for the Resident Evil series, experience the action from the other side. As a ‘hunter’, join the enemy side to become one of the game’s zombies, J’avo or other C-virus mutations and infiltrate another active game session to eliminate the human characters. 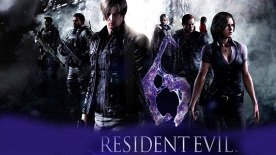 Resident Evil 6 will include fully localized voice over in English, French, German, Spanish and Italian as well as subtitles in Japanese, Russian, Polish, Brazilian and Portuguese.